Seattle-headquartered Alaska Airlines on Jan. 5 launched the first regularly scheduled U.S. commercial flights between Los Angeles International Airport (LAX) and Havana, Cuba’s José Martí International Airport (HAV). "LAX is America's gateway to the world," L.A. Mayor Eric Garcetti said, noting that the flights mark a new chapter in U.S.-Cuba relations. "I am … grateful to Alaska Airlines for helping connect Angelenos with people and cultures from around the world." 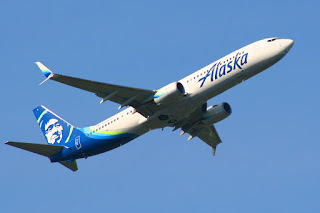 "We sometimes overlook the fact that air travel holds tremendous power to connect people and overcome boundaries," Joe Sprague, Alaska Airlines' senior vice president of communications and external relations, said. "This new West Coast service is another historic step in opening up relations between our two countries." Passengers on the inaugural flight included 50 political, business and cultural leaders from California and Washington State who are taking part in an educational and trade mission to the island nation. Participants include University of Washington President Ana Mari Cauce, the first Cuban-born leader of a major American academic institution. Cauce left Cuba when she was three years old and went on to achieve prominence in teaching, scholarship and advocacy in the United States. "I'm thrilled at this new spirit of openness and the opportunity for us to build greater ties with the people of Cuba," Cauce said. "We have much to share and learn about the Cuban people's work in health care and education,” noting that the visit is a high point for her, both personally and professionally. The new service allows travelers to depart from either LAX or Seattle-Tacoma International Airport (SEA) and arrive at HAV before the end of the day. Daily flights depart SEA at 5 a.m., arriving at LAX at 7:39. 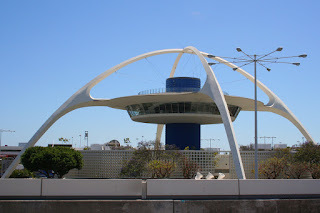 The continuing flight departs LAX at 8:50 a.m. and arrives at HAV at 4:55 p.m. local time. Return flights leave Havana at 5:55 p.m., arriving in Los Angeles at 8:45 p.m. After a three-hour layover, the continuing flight departs LAX at 11:45 p.m. and reaches Seattle at 2:35 a.m. the following day. Alaska will operate a fuel-efficient Boeing (NYSE:BA) 737-900ER on the Havana flights. According to SeatGuru.com, the plane has 16 First Class seats and 165 Economy seats. First Class seats are 21 inches wide with 36 inches of pitch while Economy seats are 17 inches wide with 32 inches of pitch. Onboard, customers will have access to features including a selection of food and beverage inspired by local flavors, free and premium entertainment direct to customer devices, custom leather seats with adjustable headrests, and power outlets for laptops and personal devices at every seat. Travel to Cuba for tourist activities remains prohibited by statute. There are, however, 12 categories of travel authorized by the Department of Treasury's Office of Foreign Assets Control (OFAC). That means individuals who meet the regulatory conditions of the respective “general license” they seek to travel under do not need to apply for a specific license from OFAC to travel to Cuba. For more information, visit the website of the U.S. Embassy in Havana. More information on the flights is available and tickets can be purchased on Alaska Airlines’ website.